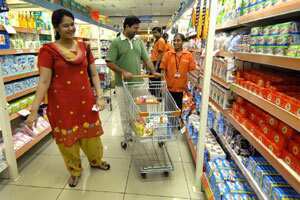 So FDI in retail has been put on hold. What a sorry spectacle this has been, and what a shameful figure every political party has cut in the whole fiasco! If the Congress displayed once more how inept it is, its allies exposed themselves yet again as self-serving opportunists, and the BJP proved beyond doubt that as the principal Opposition party, it feels its only duty is to oppose anything that the government may propose. At least, about the Left, you have to say this much: that they consistent in their rabid adherence to long-discredited dogma. But the others? And then the UPA government goes and announces it! The way it did this raises many questions, other than ones pertaining to the fate of commerce ministry hacks, now cruelly deprived of a story for all seasons. Why were the allies not consulted before announcing the decision? Surely, all the Congress stalwarts knew that this was a sensitive issue! Why was this executive decision announced just as the Parliament session had started, the worst timing possible if the Government had any honest intention of getting some business done in the House? And why was the Government so incompetent in its attempts to sell the decision? This will create 10 million jobs, the government said. Fine, but how has this number been derived? Why not 20 million? Why not 7 million, a non-rounded-off number that could have vaguely suggested that someone had sat down and done some calculations? And the claim that this will bring down inflation! The RBI has been huffing and puffing for three years to get inflation down, and now you tell us that what we needed all along was a billion dollars or so in FDI in retail? That FDI in retail will mean setting up of cold-storage chains countrywide and better roads; after all, 40% of our farm produce rots on its way from farm to marketplace. Now, every number about the Indian economy has changed dramatically in the last 20 years, except this one -- that 40% of our farm produce rots on its way from farm to marketplace. We heard it in 1991, we hear it in 2011. So what the hell have the various governments been doing? And now suddenly that percentage will magically diminish because four retail fat cats will come in? And not only this, but they’ll even improve the quality of roads in our countryside? That means, as far as I can make out, once we let the global retail biggies in, we can easily halve the number of people in the RBI, the food and agriculture ministry, the surface transport ministry, the rural development ministry and many enormous public sector organizations. Is that factored into the 10-million jobs figure? The announced policy has of course tried to placate all in sight, by laying down conditions like 50% of the investment has to go into back-end infrastructure (untenable-- since “back-end infrastructure" is open to massive definitional breadth), and that 30% of the sourcing has to be done from small and medium enterprises (haven’t we learnt from our small-scale industries policies that they just don’t work?). And then it has put in a “look, don’t blame us" clause that these retail outlets will do business only in states that allow them to. So if this was the government’s bold response to the accusation of policy paralysis, well, we can only call it a slight twitch of the muscles. But even that twitch is anathema to most of our political parties. Whether they are part of the ruling alliance, support the government from outside, or are in opposition, all of them are plumbing the depths currently, clutching at any excuse for empty bombast that they hope will obscure their utter loss of credibility. And in the process, make a mockery of all parliamentary procedure, decorum and responsibility. We live in dark times. And strangely enough, the light at the end of the tunnel is neither the escape route nor the lights of an onrushing train, In fact, there’s no light visible. It’s just the tunnel.